Pictures and Videos From WAITRESS, THE KING AND I, ANASTASIA, and more! Check out these pictures and videos from the kids of Waitress, The King and I, Anastasia, Miss Saigon, and Dear Evan Hansen! Check out these pictures and videos from the kids of Waitress, The King and I, School of Rock, Anastasia, Finding Neverland, and Miss Saigon! Happy Birthday to Avery and Quinn Preddy, Addison Valentino in “A Time to Shine,” Lily Caputo in Lovepop Commercial, and more! Happy Birthday to Quinn and Avery Preddy (Waitress Houston)! We hope you both had a great day! Addison Valentino (Anastasia) will take part in the next edition of “A Time to Shine” on February 3rd at the Laurie Beechman in New York City! Get more info below. The Broadway in South Bend, Indiana, 2019-2020 season has been announced, and includes The Lion King and Waitress! Get more info about the season below. The Broadway in Thousand Oak, California, 2019-2020 season has been announced, with Finding Neverland making a stop in January 2020! Get more info about the season below. Alum Lily Caputo (Once) is appearing in a commercial for Lovepop! Watch it below! Rising Talent Magazine spoke with the kids of Les Miserables while the show played in Tampa! Check out the feature below! 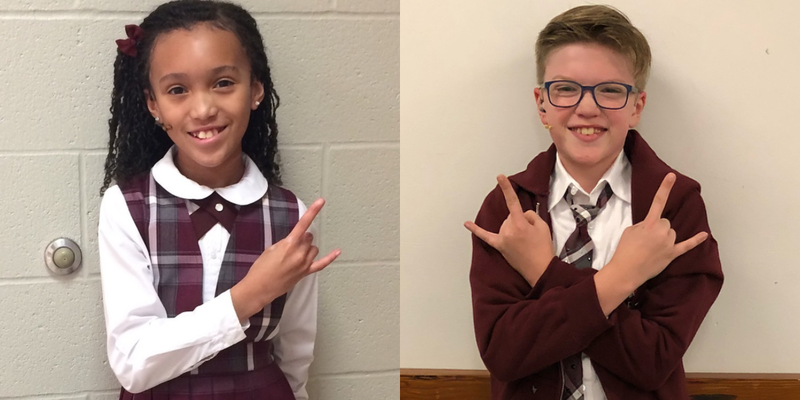 And check out these pictures and videos from the kids of The Sound of Music, Waitress, The King and I, A Bronx Tale, Anastasia, and School of Rock!